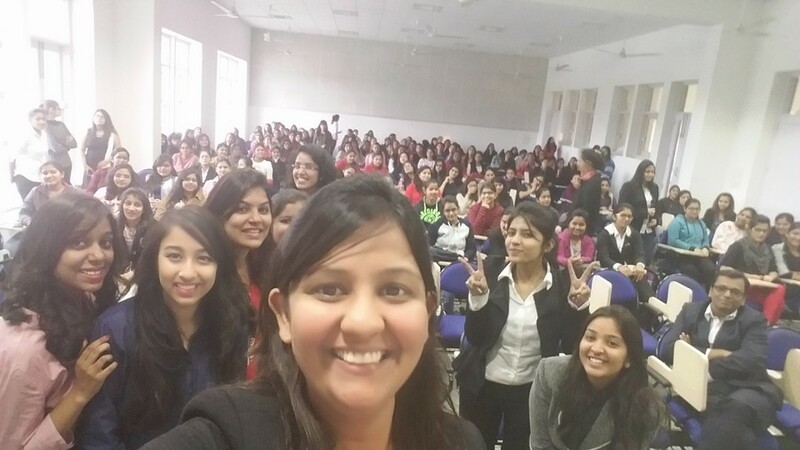 Interacting with students of Modi University, Laxmangarh, and sharing my entrepreneurial journey. My friend Rachna took the courageous step of leaving her job to start out on her own some years ago. She had shared her journey in this Dec 2014 post – I followed my heart… I asked her how 2015 turned out to be, and here it is, another inspiring and insightful GUEST POST. It’s good to be lost sometimes as that is when you are bound to find a new way. Around 2.5 years ago, I was completely clueless about what to do with my life. What should be my next move if I quit my job? But now I feel that leaving the job certainly was a blessing in disguise, because I knew what I didn’t want, and that perhaps helped me shape a new path for myself. Today, I am thoroughly enjoying my entrepreneurial voyage with my venture CrispTalks.com. But I must admit it wasn’t easy to put my foot forth on this shaky path. With the middle class family mindset, the journey becomes tougher because you just don’t need to earn and self-support yourself, you also need to stay strong and save yourself from the comments of your relatives! I am a new person now. If someone would have met me 5 years back, they would have witnessed the introvert and shy side of me. With the compelling exposure that entrepreneurship gives us, I can now say that I am a changed person. Today I am comfortable striking a conversation with almost anyone around. The important thing to remember is that we shouldn’t try to be someone else. I would rather be myself even if I was talking to Mr. Ratan Tata. I have started loving people. Before my entrepreneurial journey began, my network was limited to hand-picked close friends and family. I hated talking much. (I still do sometimes!) But now I rejoice associating with new people, listening to their life experiences, sharing a laugh with them or just crying aloud on failures. Honestly I attribute this change to entrepreneurcafe.org. 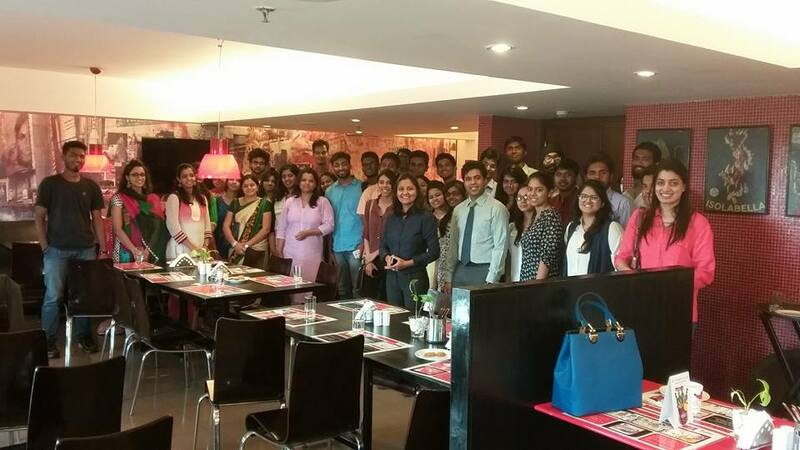 I have been leading their Jaipur chapter since May 2015 and have conducted nearly 18-20 meet-ups for entrepreneurs. Just like you are working on your dream, your team members too have their aspirations, priorities and dreams. Try to understand and respect them as they are sure to be wonderful at something that you are not. Just giving a salary won’t help; being empathetic is the need of the time. Sharing a thank you note, a small present on their birthday, a surprise gift card on Diwali won’t just please them but make them feel special like a family. The world is full of ideas and there are chances you will come across people who want you to be a part of their ideas. My personal suggestion is to understand your business associate, have definite roles for each and keep a legal account of everything before proceeding with partnerships. Never jump into anything because sometimes you see only returns and not gauge how much their ideas coincide with your goals and what you eventually desire to do or achieve. Be an employer and employee. At the inception of any project or startup, at least feed it with your complete devotion and inputs for one year before you put it on an auto mode. Interact with clients personally, understand their goals, execute each and every project on your own, understand the business cycle, explore partnerships and do everything in between. Many people around us work on multitude of ideas simultaneously. My personal belief is that it fetches far better results when we focus on one project at a time. Focus drives vision and helps us strategize our thinking in the right direction. Be a traveller at heart. I love travelling and have seen a remarkable change in myself after my solo trips. Traveling to unknown places and interacting with new acquaintances can give you a perspective that no book can offer. ​Yet reading is a valuable habit. Usually I read two books concurrently – one fiction and another non-fiction. Reading stories give me a thought process and helps me in writing some amazing scripts whereas non-fictional books enhance my personality and gives me some bright ideas for my startup. I have whole lot to talk about, but this sounds more than enough for this post. I would love to hear your entrepreneurial experience in the comments. I admire her courage ! Bravo! An example and inspiration for others to follow!